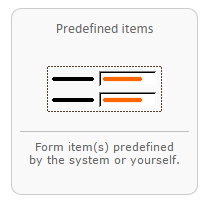 You can save one or more items of your form as a pre-defined item in the components library, including all the section’s definitions like layout, dependencies and validations. 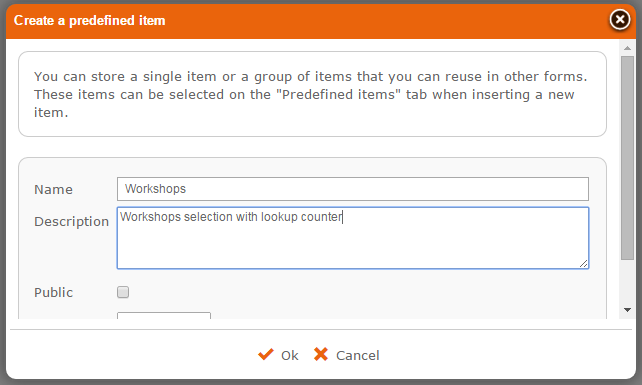 You can then reuse this item in your other forms, for example for a standard address section. 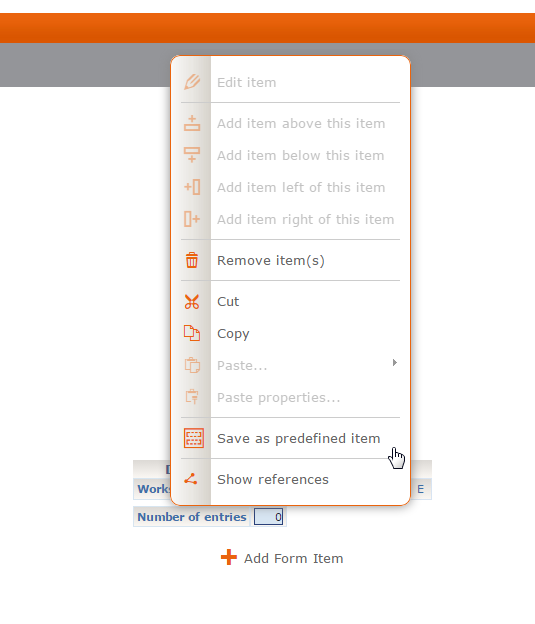 Using this feature, you can easily create building blocks/components to use for your other forms. 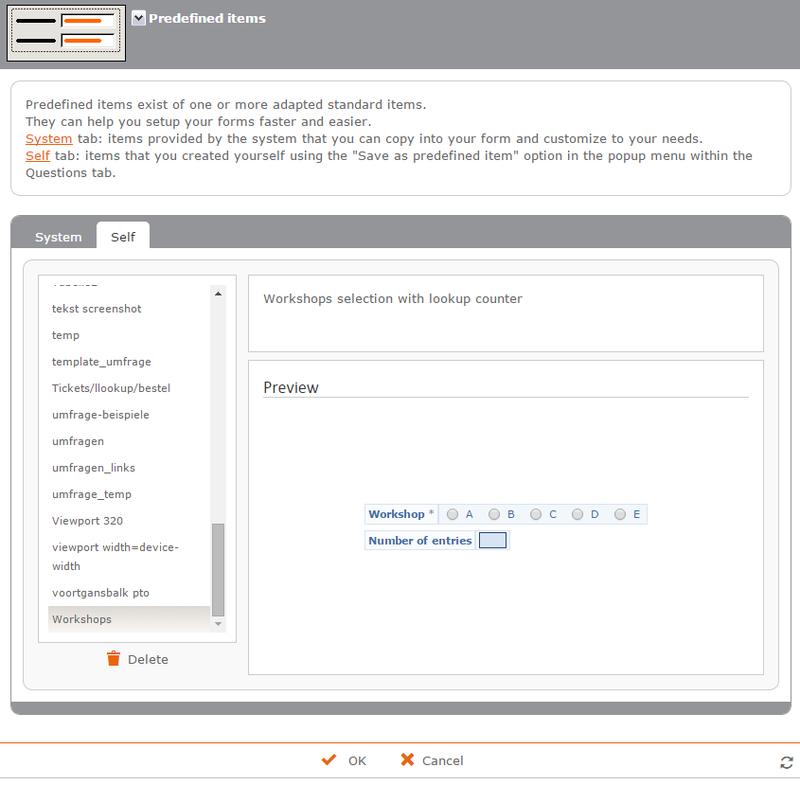 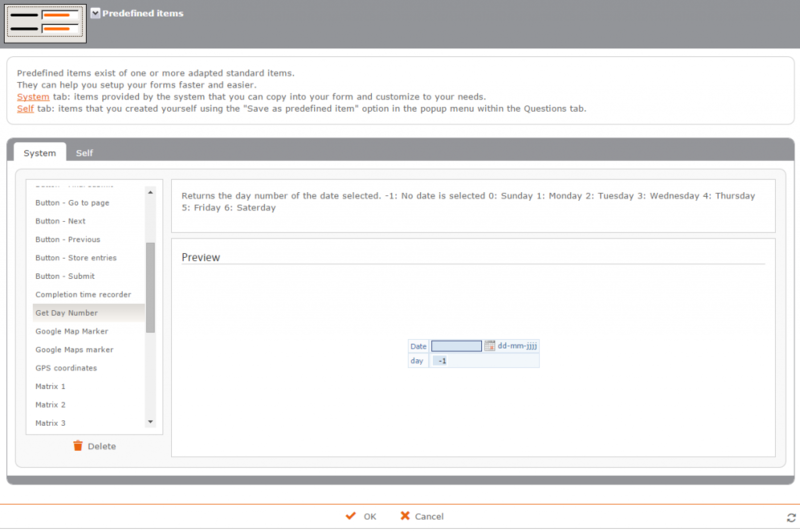 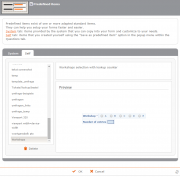 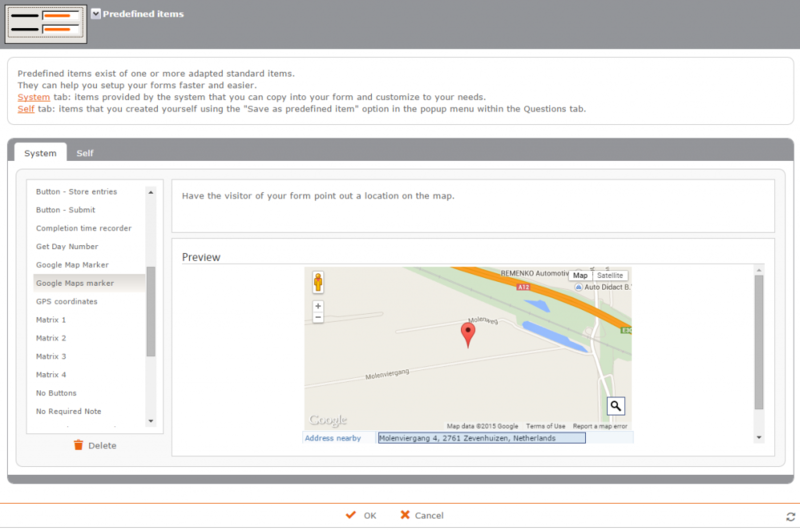 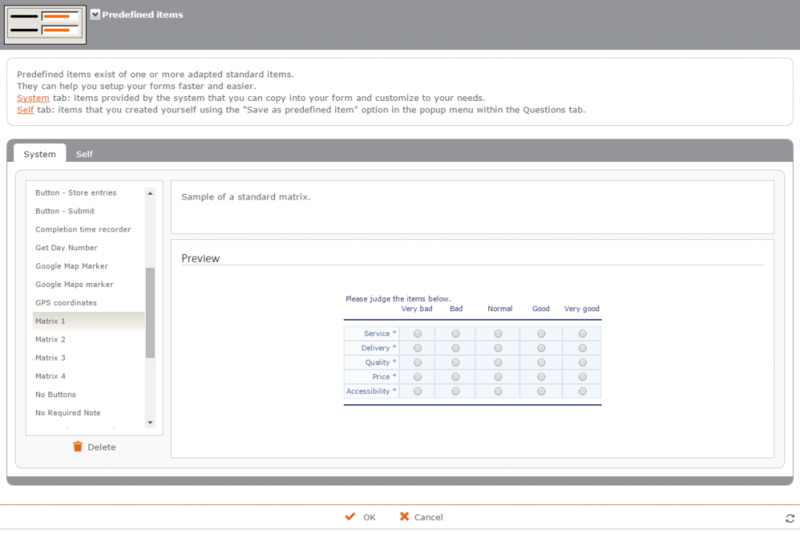 You can create pre-defined items yourself, but the system also offers ready-made pre-defined items. 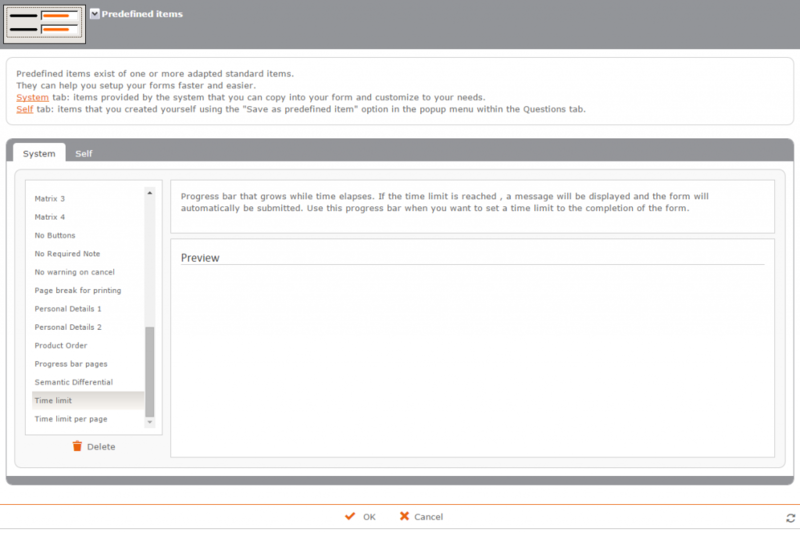 Examples include buttons, progress bars and matrices.